RNG Works is coming to Music City! Register now for the two day Technical Workshop and Trade Expo for the North American Renewable Natural Gas Industry. This event will educate, demonstrate, and promote best RNG industry practices, for purposes of helping realize increased development, deployment and utilization of renewable natural gas- and for purposes of helping achieve greater energy independence and access to domestic, renewable, clean fuel and energy supply. 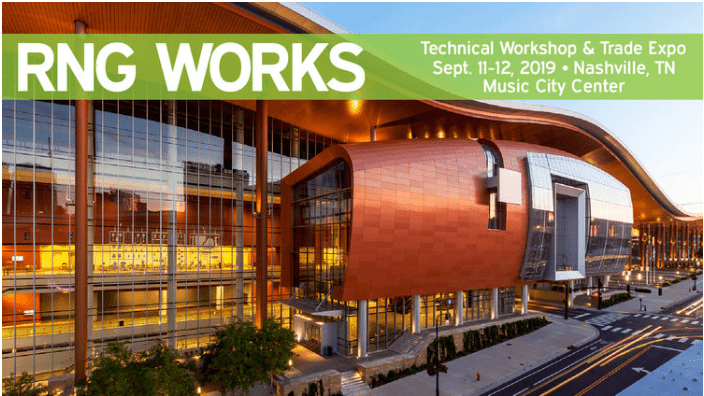 RNG Works will take place September 11-12 in the Music City Center in Nashville, Tennessee.